Welcome to the offices of Dr. Juan Trejo, optometrist, in Monterey and Salinas. The doctors and staff make it their mission to provide the best in optometry services. We invite you to browse our website to learn more about our optometry services and join our patient family by scheduling an eye exam appointment at our Monterey or Salinas office. Trejo Optometry is a full service eye and vision care provider, accepting both eye emergencies as well as scheduled appointments. Patients throughout the Monterey Bay area come to Trejo Optometry because they know they will receive the personal attention and professional care that is our foundation. Dr. Trejo and our team are dedicated to keeping our patients comfortable and well-informed at all times. At Trejo Optometry, we will explain every exam and procedure and answer all of our patients' questions. 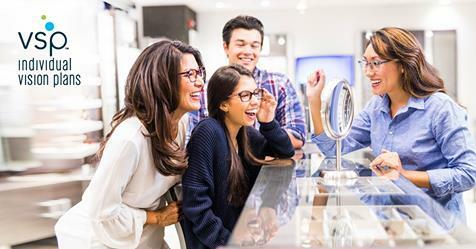 Additionally, at Trejo Optometry, we offer vision financing options and will work with vision insurance providers to ensure good eye health and vision care for all of our patients. With the help of exceptional opticians, Dr. Trejo strives to be the best primary eye care provider in the Carmel, Hollister, Marina, Monterey, Pacific Grove, Prunedale, Salinas, Seaside and Soledad areas. We provide innovative eyeglass lenses to fill the needs of a wide range of vision concerns such as computer strain, night driving and light sensitivity. We offer a variety of designer branded frames from high end fashion to styles that fit anyone's budget. As optometrists in the 21st century, our practice is able to provide more comprehensive eye and vision services beyond the best contacts and eyeglasses available. We continue to invest into improving the quality of patient care, such as bringing in the Optos widefield retinal camera at the Salinas location. We collaborate with medical professionals to care for patients with diabetes, high blood pressure and monitoring high risk medications. We treat a wide range of patient needs from vision problems to infections, allergies, dry eyes, conjunctivitis, glaucoma and minor injuries. We also assist patients in arranging surgical and specialist care when needed. For a complete list of services, visit our services page or call our Monterey office at (831) 373-1116 or Salinas office at 831-443-4422. Get comprehensive eye exams that leave no stone unturned when you choose us. Enjoy a variety of contact lens styles, as well as customized fittings to look and feel your best. Fashionable glasses are our specialty and you'll find a host of styles in our opticals. Visit our new Instagram or our Products page to view some of the high quality frames we have to offer. Learn more about our services, as well as the experience our optometrist brings. Dr. Trejo graduated from the Southern California College of Optometry. He practices at the highest level of licensure in California, with therapeutic pharmaceutical agents and glaucoma certification. He comes to beautiful Monterey County from Eureka. "The office of Dr. Juan Trejo, Optometrist, is a great place to find stylish eyewear." "Dr. Trejo is serious but is very knowledgeable, he took the time to explain details to me. They dont have a huge eyeglass selection for designer frames but are willing to order anything for you. Their prices are very reasonable as well, alot cheaper than most places. I would totally recommend Dr. Trejo to anyone looking for an Optometrist." "I just went to Dr. Moro for an eye exam and glasses. It was a pleasant and good experience. I have only been to 3 optometrists in my life, and so far, Dr. Moro was the best. I will keep continuing to see him for eye exams." "My husband and I are very grateful to you for all the help you gave us during his visit." "These glasses are perfect! The last two prescriptions were so unsatisfactory that I really appreciate your care & expertise that you put into them. Thank you!" "Dr. Trejo, thank you for all your help throughout the year so we can see life alot clearer. We wish you all the best that life can bring."